visitors have bet on the match. The Premier League takes a break this weekend and so our betting preview focuses on the UEFA Nations League and England's match against Croatia at Rijeka Stadium on Friday night. We've highlighted bookmakers best odds for Croatia v England, as well as a match preview, and the betting offers that bookmakers are promoting for this upcoming Nations League game. Check out the best odds that bookmakers offer for a Croatia win (H), a win for England (A), or a draw (D) below. Use the ALL ODDS tab to view more bookmakers odds. NB: Bookmakers best odds for Croatia v England correct at the time this match preview went live and are subject to change. Last updated: 06:24 on 12/10/2018. As well as bookmakers best odds, we've also listed the betting offers and price boosts that they're promoting for the UEFA Nations League match between England and Croatia. Croatia v England will be broadcast live on SkySports at 19.45 on Friday October 12th. 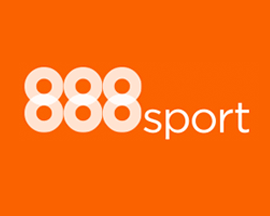 Signup as a new customer at 888sport using the promo code '888ODDS' and you'll get the boosted price of 16/1 on England beating Croatia instead of 37/20. New customers only. £10 minimum deposit using promo code "888ODDS" required. Qualifying bet must be placed at the normal odds Min bet £5, max bet £5. Extra winnings paid in FREE BETS and added within 72 hrs of qualifying bet settlement. Free bet stakes not included in bet returns. Free bets expire 7 days after credit. This offer may not be combined with any other offer. Deposit balance is available for withdrawal at any time. General deposit method & withdrawal restrictions apply & full T&C's apply. 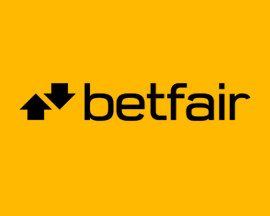 Signup as a new customer at Betfair today and you'll get the boosted the price of 50/1 on England beating Croatia. Plus, also claim up to £100 in free bets! New Customers can get England at an enhanced 50/1 to beat Croatia. Max Stake £1. Winnings paid in free bets, valid for 7 days, only deposits with cards/Paypal count. Exchange and multiple bets excluded. T&C’s Apply. 18+|Gamble Aware. Bet on Harry Kane scoring against Croatia via a header at Bet Victor and you’ll get the enhanced price of 14/1. Max bet on this price boost is £20. 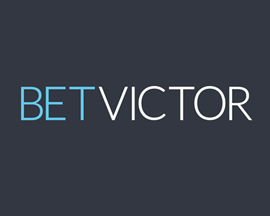 T&C’s apply to Bet Victor's enhanced odds offer on Croatia v England, see Bet Victor website for details. 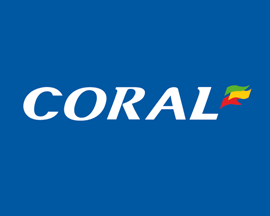 Bet on England to beat Croatia within 90 minutes at Coral, and they’ll give you a £5 free bet for every goal that England score during the match! 18+. UK&IRE only. Online & Phone. Min bet £10. £5 per goal paid as free bet. Offer valid on England in 90 mins pre-match market. One free bet per customer, per goal. Max 3 free bets. Free bets valid for 7 days. Not valid with Cashout. Restrictions may apply. T&Cs apply. 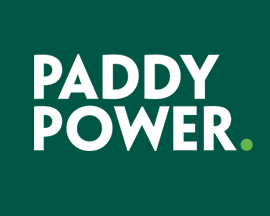 Signup with PaddyPower today and bet £20 on Croatia v England and if you don't win your bet, they'll refund your original £20 stake - in cash! Gareth Southgate's England squad head to Rijeka this Friday night to take on Croatia in the second round of the UEFA Nations League group fixtures. While the Three Lions will be looking to beat the team that knocked them out of the 2018 World Cup, unfortunately British Bookmakers offer Croatia as the marginal favourites to win. Both sides lost their opening fixtures and this is therefore a crucial match for both teams. Spain are currently top of the group after beating Croatia (6-0) and England (2-1) in the opening round of the competition, and the loser of this match faces relegation from the competition. Unfortunately no fans will be able to attend this rematch of the World Cup Semi-Final, as Croatia play the final game of a crowd ban following an altercation in a Euro 2016 match against Italy. Croatia have faced England in a total of 6 competitive matches, winning 3 of those including the World Cup Semi-Final match played in Russia just a few months ago. Zlatko Dalić may have a strong side, and although bookmakers offer Croatia as the favourites to win the game, England won’t make it easy for them to win this one. Croatia come into the match after a 6-0 thumping from Spain, and while Dalić will be hoping for a victory over England, he has a number of injuries to contend with that could upset his plans. Borna Barisic is dealing with a muscle rupture, while Brozovic is currently injured and Vrsaljko, Santini and Kalinic are also in doubt for the UEFA Nations League match against England. While England had great success in the World Cup, Southgate’s squad haven’t been playing quite as well in recent matches, losing to Spain in their opening fixture of the Nations League. They really need to beat Croatia in Friday night’s match, however both teams are dealing with a raft of injuries, and this match won’t be of the same calibre as the World Cup Semi-Final. Gareth Southgate has recently agreed an extension to stay in charge of the English squad until 2022, and while this is fantastic news for fans, a number of injuries are causing him a few concerns ahead of Friday night’s match. Unfortunately, Dele Alli, who suffered a recurrence of his hamstring injury, and Luke Shaw, who picked up an injury against Newcastle, are both set to miss the Croatia match. Southgate is also expecting to be without Jesse Lingard, Adam Lallana and Ruben Loftus-Cheek, while goalkeeper Alex McCarthy has also been struggling with a hamstring problem. This is also the first time in 998 matches that England will have played a senior international fixture behind closed doors with only the media, FA delegates and UEFA officials allowed in. England are more than capable of beating Croatia, there are some key players missing and a number of new young players in the line up that could throw a spanner in the works. A loss to Croatia would unfortunately put them in danger of ending up bottom of the table in their three-team group and being relegated from UEFA Nations League A, Group 4. Croatia are favourites, but it’s set to be a very close game, especially as Gareth Southgate will be determined to secure a victory over the side that ended England’s World Cup dreams. Croatia and England have played each other a total of 8 times over the years with England currently having the better win percentage having won 4 fixtures, compared to Croatia's 3. The last international fixture between these two sides was the World Cup 2018 Semi-Final on the 11th of July when the match ended 2-1 to Croatia despite England taking the lead. The last match where Croatia played England at home was when they met in a World Cup qualifier on the 10th of September in 2008 with England winning 4-1. The match was notable for Theo Walcott's only international hat-trick and a solo goal from Wayne Rooney winning the match for England despite Mario Mandžukić pulling a goal back. The biggest win that Croatia have had over England was a European Championship Group E match on the 11th of October in 2006 when they won 2-0 at the Maksimir Stadium in Zagreb. The highest score that England have ever beaten Croatia by was the 5-1 win on the 9th of September in 2009 when they played each other in a World Cup 2010 qualifier. Looking at the last 5 fixtures that Croatia have played in all competitions, they've won 1, drawn 2, and lost 2 scoring a total of 7 goals and conceding a total of 14 goals. England's record over their last 5 matches in all competitions is won 2, drawn 0 and lost 3. They've scored less than Croatia, 5 in total (1 goal per game) but also conceded less (6).